All venues and courses at the UBC Triathlon Duathlon are officially sanctioned by TriBC. Expanded for 2019! This package is designed to orient and assist those getting into the Triathlon world. The program is intended for those participants who are nervous or unfamiliar with the workings of a full triathlon race. Learn the foundations from experienced triathletes. Enjoy some food and beverages provided by Wholly Veggie! Three group training sessions with experienced and qualified coaches to walk you through triathlon fundamentals, individual discipline techniques, and ultimately help you prepare for race day. Guidance is centred around the swim, cycle, run, and transition elements. Note: Limited quantities available. This program is offered for the short and sprint distances only. Note: Participants may attend one of the date options in each discipline. Each session is approx 90min. 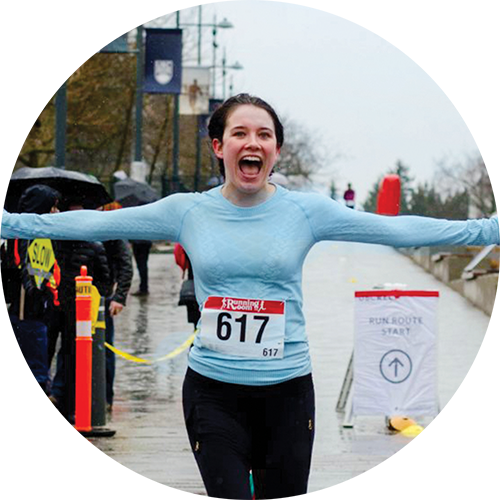 The UBC Triathlon Duathlon offers a variety of race types and distances. Do you have a special request or circumstance? We would love to hear from you! UBC Recreation takes great pride in ensuring that all our participants feel welcomed and have a safe amd inclusive race experience. If you have a special request or circumstance please contact us at ubc.triathlon@ubc.ca. Can I REALLY Do A Triathlon? Taylor’s Top Pick: Sign up for the First-Time Triathlete package to learn all the basics from experienced triathletes. A shorter distance, or a modified or team experience is also a good bet for your first triathlon.